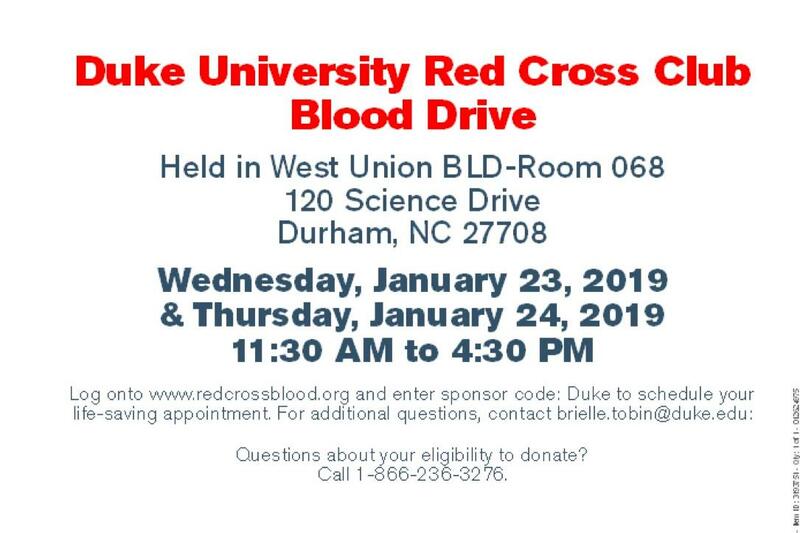 Duke Red Cross will be holding its November blood drive on 1/23 and 1/24 (both 11:30 AM to 4:30 PM) at the West Union Building in Room 068 (next to ABP)! Please come donate blood and help save lives. If you have any questions, feel free to contact Brielle Tobin at brielle.tobin@duke.edu. Thank you for your support!